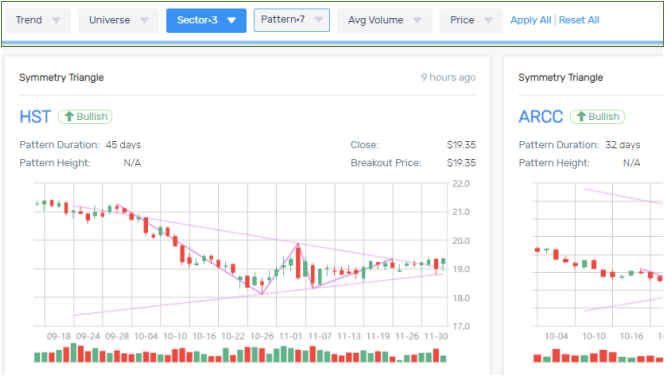 AI-powered chart patterns and candlestick formations. 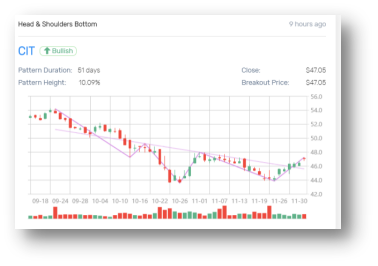 Kavout’s Platform-as-a-Service and Software-as-a-Service solutions can be easily integrated into consumer facing web environment, mobile apps, and professional trading terminals or tools. Expand on each stock to see additional information. 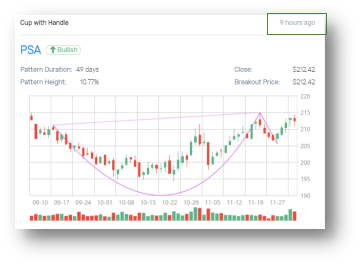 Click on a stock symbol will display all historical patterns and formations recognized for this stock. Development (one-time fee), covering product integration, testing, and customer onboarding. A monthly service fee, covering data services, system maintenance, and support. Fees may vary depending on data update frequency. Volume discount is available for customers who purchase multiple PaaS and SaaS modules. Contact us today to learn more about Kavout's products or services.